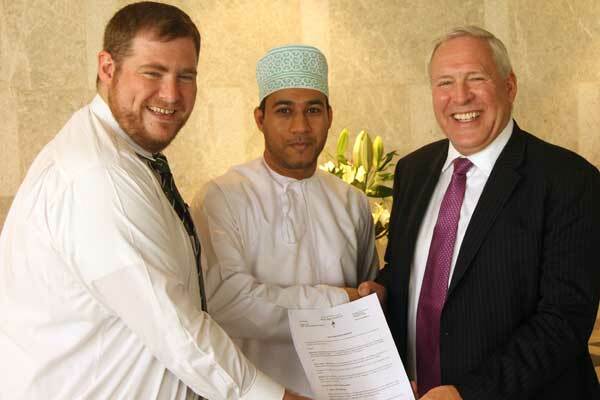 Oman-based Muna Noor, a leading plastic pipe manufacturer, has signed a sponsorship agreement with Muscat Rugby Football Club for the second year running. As Platinum Sponsors, Muna Noor will once again adorn the Omani-influenced playing strips of the current Gulf Conference Champions (GCC), said a statement. The agreement was signed between Muna Noor’s group general manager, Grant Phipps, and with the Muscat Rugby Club chairman, Freddie Sayers, along with the club’s player spokesman, Saleh Al Busaidi, it said. As this season’s exclusive Platinum Sponsor, Muna Noor will be featured on players’ kits and branding signage at matches played throughout the GCC region, as well as at some of the largest annual international rugby events, it added. The sponsorship covers all the teams and programmes which fits in well with the company’s community involvement strategy. “We are proud of our investment in the sporting community in Oman and look forward to a successful season ahead. Encouraging a diversity of sports and outdoor activities among Omanis and the community as a whole is an important part of the company’s strategy for a sustainable future,” he said. Muscat Rugby Football Club (MRFC) was formed in 1971 under the patronage of His Majesty Sultan Qaboos bin Said and has been playing consistently against GCC teams since then. Last season the senior team once again won the Gulf Conference Championships playing against teams from the UAE, Qatar, Bahrain, Saudi Arabia and Kuwait.